Round in shape, this variety of cheese comes from the Dauphine region of France. It is made from pasteurized cow's milk that is processed into soft curds resulting in a very soft and creamy textured cheese. 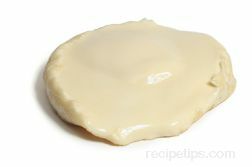 A natural, tan molded rind covers the soft inner paste that is uncooked and unpressed. St. Felicien is matured for several weeks and then released for sale, providing an earthy to sour flavor that may have a yeast-like overtone.